We provide customers with a complete line of safety equipment and other supplies for the battery room. 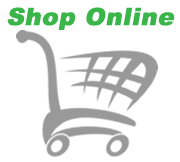 Our product line includes a wide variety of safety and compliance products including spill containment, spill clean-up kits, protective eye wear, tools, hydrogen detectors, battery watering carts, and much more. 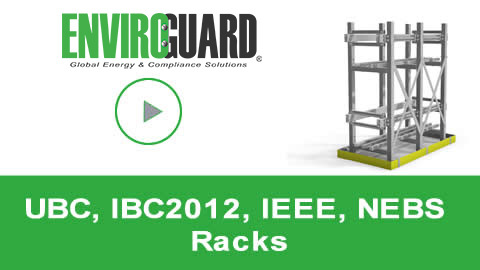 EnviroGuard's Rack Series is now offering a NEW dually certified IBC 2012 and NEBS rack. It meets all applicable sections of Telecordia Technologies GR-63-CORE & GR-1089 and is also IBC 2012 compliant. 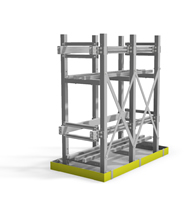 All racks are adjustable to accommodate most makes and models of batteries. EnviroGuard racks offer a patented Integrated (bolt-on) UL recognized & FM approved spill containment system that eliminates the need to drill or glue the floor when installing the containment barrier walls. 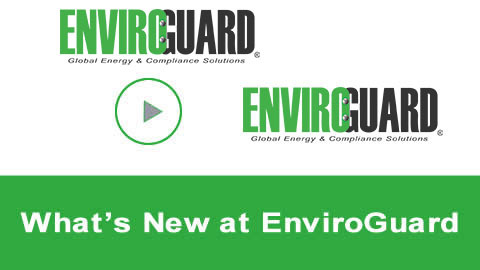 EnviroGuard's online configurators for spill containment, pans, trays, and racks allow customers to size and select product specific to their site needs.